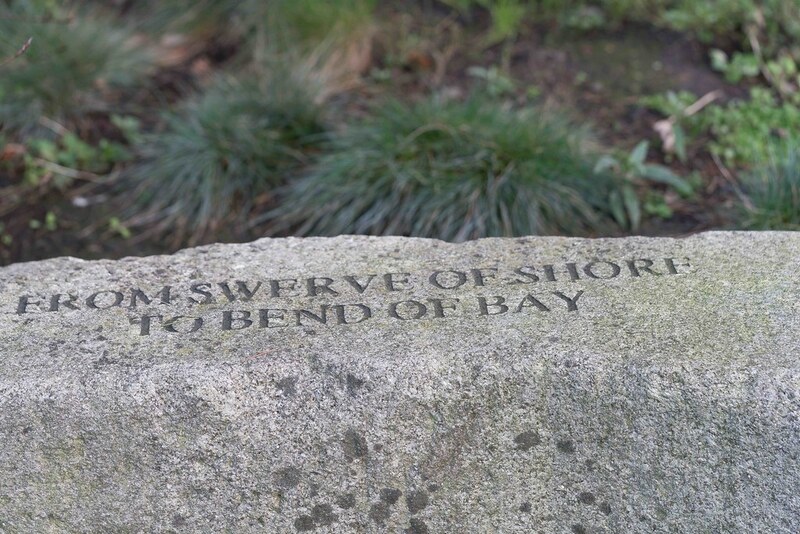 From Swerve of Shore to Bend of Bay: 'riverrun, past Eve and Adams, from swerve of shore to bend of bay, brings us by a commodius vicus of recirculation back to Howth Castle and Environs.' Finnegans Wake. 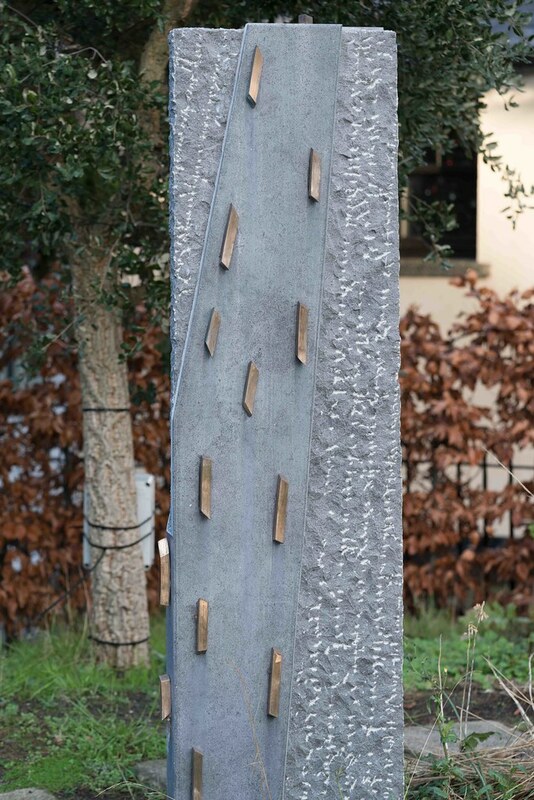 The Dublin UNESCO City of Literature Show Garden won two awards at the Bloom Garden Festival in 2011. The garden won best in its category (small gardens) and a Bloom silver medal for small gardens. 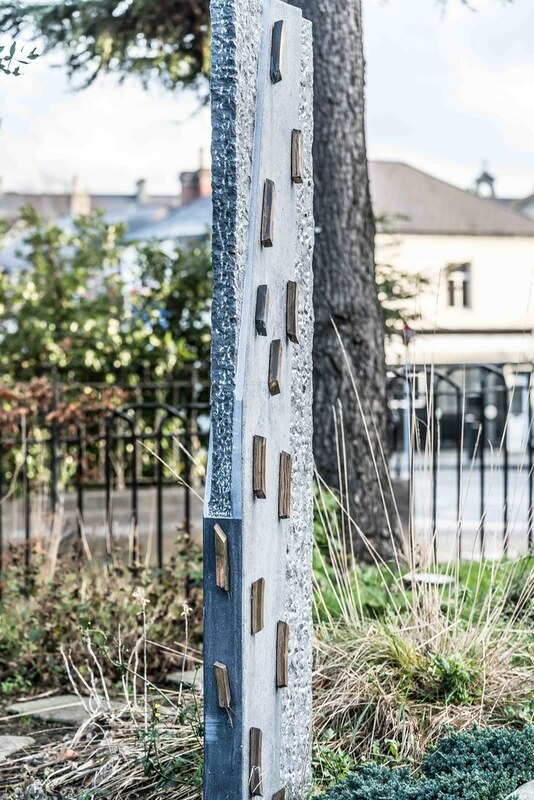 'River Run' was designed by Dublin City Council Parks and Landscape Services to honour Dublin's designation as a UNESCO City of Literature. 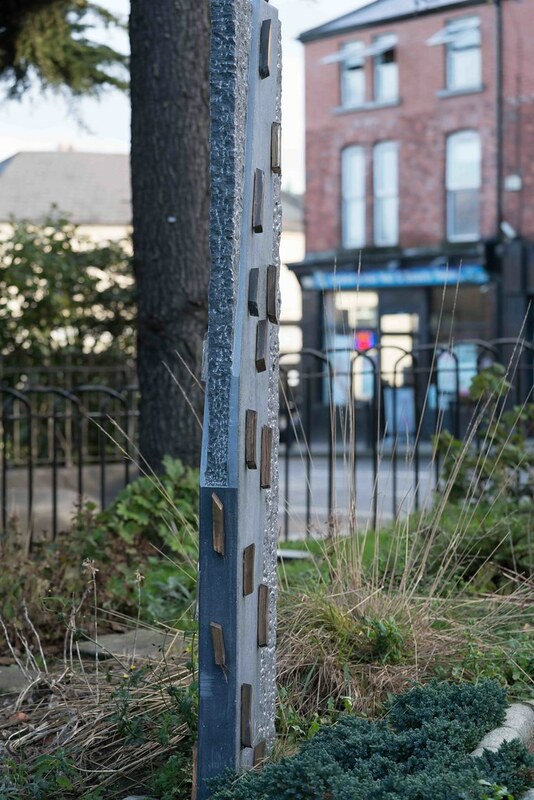 When I last visited in March 2014 I said that “I was somewhat unimpressed if not totally disappointed by this garden now located in the grounds of Phibsboro Public Library. The setting is not at all suitable and elements [the pool to name but one] appear to be missing from the prize winning garden. I suspect that little of this will remain in two or three years due to lack of maintenance and appropriate attention. Note: The water pump may need a service as it appears to be rather noisy.” Unfortunately it is now in worse condition than it was back then.